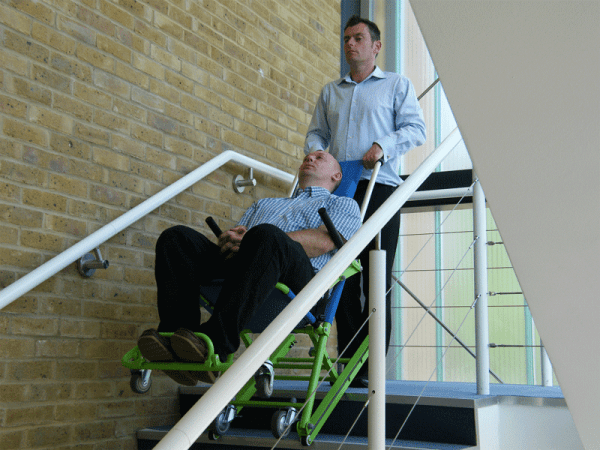 This course will take you through the setting up and safe operation of the Evac Tracked Evacuation Chair. You will also learn about the current legislation and issues that affect a mobility impaired person. Upon completion you will be issued with a Basic Operators Certificate. Price includes training for up to 8 people. 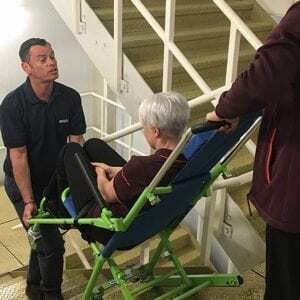 This course involves a short theory session followed by a practical demonstration in which delegates participate and gain practical hands-on experience of using an Evacuation Chair, Transit Chair or Rescue-sled. Delegate numbers are restricted to make sure everyone has adequate time practising and building confidence in using the equipment.